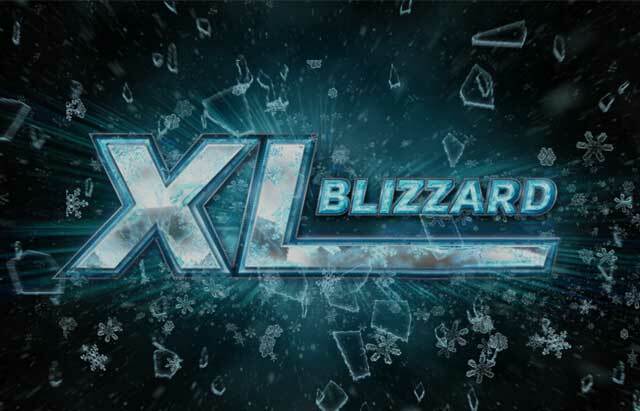 Day Seven of 888poker’s championship series XL Blizzard is in the books and the action continues with another $60,000 of the $2.9 million overall guaranteed cash up for grabs in a trio of 8-max tournaments. The $109 buy-in $40,000 8-Max was the marquee tournament of the day. With 426 players registering, and contributing 193 rebuys, the posted guarantee was crushed. The prize pool grew to $61,900 ensuring that at least one player on Wednesday was going to walk away with a five-figure score. Malta’s ‘PazzoRJ’ took home the XL Blizzard title and the top prize of the day after defeating PocketFiver Bernardo ’bsdias’ Dias heads-up for the $11,761 score. That’s quite a feat for ‘PazzoRJ’, as Dias is a former worldwide #2-ranked grinder from Brazil with over $6 million in lifetime earnings. Diaz collected $8,666 for his runner-up efforts. Just another score for a top-tier online pro who has multiple five-figure scores already in 2018. Dias wasn’t the only PocketFiver to make the Event #19 final table. Phil ‘Philgreen111’ Green from the UK collected his first four-figure score since April 2017 when the veteran poker player worked his way to fifth place for $3,095. Rounding out the 8 player finale was Russia’s #27-ranked player ‘pokanuktus’ who hit the rail in eighth for $1,238. Plenty of notable players found their way into the money in this one including: ‘GSWarrior30’ (32nd), Andreas ‘r4ndomr4gs’ Berggren (26th), Sebastian ‘p000cket000’ Sikorski (16th), ’progree69’ (13th), ‘Iamtrying’ (12th) and ‘gifuhorna’ who just missed out on the final table by finishing in ninth. The $10,000 Mini 8-Max was the most popular tournament of the day thanks in part to its accessible $12 buy-in. The $10,000 guarantee was more than doubled as 1,325 players (and 695 rebuys) helped create the $22,018 prize pool. No one benefitted from the inflated prize pool more than the UK’s ‘JohnJones34’. He was able to turn his $12 (or perhaps $24) into a major multiple by collecting the $3,963.24 first place prize. PocketFiver Joao ‘Jpvasc’ Vasconcelos from Brazil didn’t fare too badly either. His runner-up finish was good for $2,862.34, the largest recorded online cash of his career. Five players in Event #20 were fortunate enough to turn their lunch money into four-figure scores. The late offering, the $30 buy-in $10,000 Late 8-Max wrapped up in just over six hours as 520 players (and 172 rebuys) once again exceeded the posted guarantee, this time by $9,030. ‘CR1TCHZ’ from Austria booked the first place win for $3,596.67 by defeating the UK’s ‘warhungry90’, who logged off with $2,635.65 added to his account. A pair of PocketFivers sat this final table with Serbia’s ‘Vlada2108’ finishing in fourth for $1,427.25, his fourth four-figure score in the month of January. In sixth place was Sweden’s ‘DefiMensuel’ who won $333.02, which he can add to his over $1 million in lifetime earnings.